After one of the worst seasons, both statistically and emotionally, for the New York Mets in 2017, the front office has decided it’s time for a shake-up in the coaching staff. 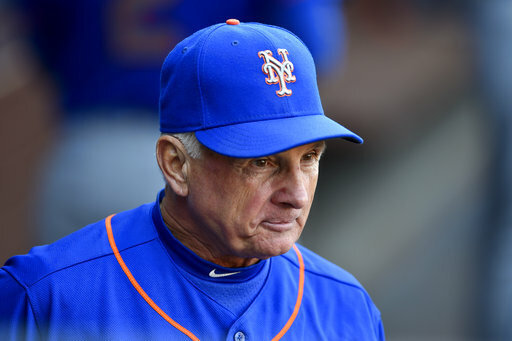 Seven-year manager Terry Collins, 10-year pitching coach Dan Warthen and 13-year head trainer Ray Ramirez are among the longtime staff that will not return for 2018. Aside from the fact that the Mets fanbase is the only one on earth that would celebrate the firing of a head trainer with so much fervor, these announcements have been mostly well-received by fans. Collins is infamous for his horrid bullpen management, Ramirez is often blamed for the rash of injuries the Mets have sustained (more on that later) and Warthen, despite being generally well-liked by both fans and players, could possibly be blamed for the poor performance by the pitching staff this season (although he didn’t exactly have the ’95 Braves to work with). But unfortunately, the sad reality is that nothing with the Mets will ever change until the Wilpons are no longer in the picture. Let me lay it out here. The only winning seasons the Mets have had since Collins stepped in were 2015 and 2016. There have honestly been too many DL trips to count, but Ramirez and the Mets are infamous for misdiagnoses and letting the players have more say than the coaches (I’m looking at you, Noah Syndergaard). The 2015 and 2016 seasons were a blast, but the Mets were the underdogs in those seasons and didn’t really have big expectations. The Mets have not had a truly dominant team since 2006. Of course it’s an organizational thing – no one individual is responsible for the collapse of an entire franchise – but the Wilpons have been the owners since 2002 and they have hardly been the ideal owners. I’m not an expert on this, but one can hardly blame the Wilpons for getting themselves tangled in the Bernie Madoff mess; the real offense is how they’ve dealt with the fallout. They should have sold the team in 2008. But instead, they’ve been operating like a mid-market team with a 2017 opening day payroll of $155,187,460. Yeah, that seems like a lot, but it’s 12th out of 30 MLB teams and New York is one of the biggest sports markets in the nation. Their crosstown rivals have a payroll of $201,539,699 and that’s what the Mets should have with competent owners. But they don’t, and for the foreseeable future, they won’t. Money isn’t the only big issue, though– communication is arguably the downfall of the Mets, from injuries to the recent report of an anonymous Met saying Collins only really spoke to high-profile players like Syndergaard and Yoenis Cespedes, citing “We were all miserable,” according to a revealing report from Newsday. The main point of the article though highlighted organizational dysfunction– Fred Wilpon, the eldest, protected Collins from getting fired even when Jeff, his son, and GM Sandy Anderson wanted him gone. The article also highlighted how younger players reportedly had grown to resent Collins with his tendency to play veteran players over younger ones, leading to disconnect and tension in the clubhouse, especially once the Mets traded away all of their vets. The fact that this report came out simply because Newsday reporter Marc Carig asked a simple question: “What went wrong this season?” The article came out after the Mets had played their last home game of the season, preventing Collins, who was mulling returning to the job in 2018, from getting a proper send off from Mets fans. As much as I disliked Collins’ managing, there is no reason for him to be thoroughly kicked in the rear end on his way out. This is solely due to poor communication from the very top down to the bottom, and that falls squarely on the Wilpons’ shoulders. Fred rarely speaks to the media, and from what I’ve heard, Jeff is simply a jerk. The Mets’ payroll won’t be over $155 million this offseason, which is not only horrid for a team in a big market, but it puts Alderson into a corner considering he needs to really dive into the free agent market if the Mets hope to contend for anything next year. I love that Collins will be gone. I’m glad Ramirez will be gone. 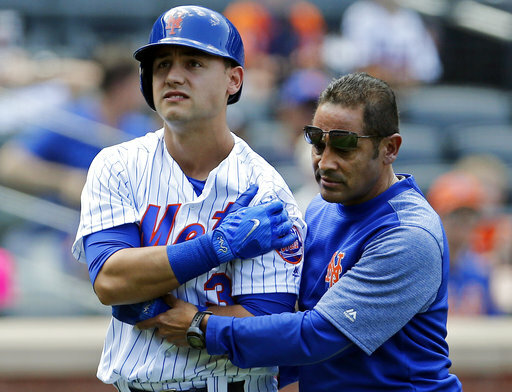 The Mets could really, really use a better manager and a trainer with a better sense of injuries. But the unfortunate reality is that, barring miraculous runs like 2015, there will be no dominant team in Queens until the Wilpons sell the team.